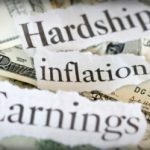 Cost of Living Increasing Faster Than Inflation Estimates? 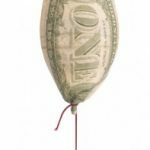 According to a recent blurb from Consumer Reports, your cost of living might be increasing faster than government inflation statistics seem to indicate. Based on official numbers, the Consumer Price Index (CPI) rose 4.1% from December 2006-December 2007. Not surprisingly, the numbers vary substantially across categories. 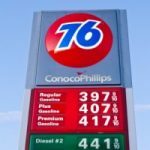 Indeed, gas was up 29.6%, heating oil was up 28.3%, and public transportation was up 7.2%. Grocery prices were also up 5.6%, with dairy leading the way at 13.4%. The problem here is that gas and groceries are omitted from the so-called “core inflation rate, ” which is typically calculated by starting with the CPI and then excluding certain categories — including gas and groceries! 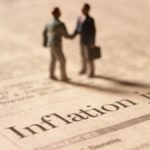 Inflation Not as High as You Think? Now is the worst time to put your funds in fixed income. Take some additional risk and buy stocks. Chances are you would do fine over the long-run.. I know how things are supposed to work in theory, I just don’t have that much faith in the people compiling the numbers. I don’t personally know of anything I buy that has only gone up 3% in the past year. My personal numbers are much, much higher. So I’m supposed to believe that inflation was only 3-4%? I was born at night, but I wasn’t born last night. I’m not an uneducated flunkie who sees black helicopters and conspiracies everywhere I look. I’m an MBA from a US News & World Report top tier school. I know how economic policy works. I also know the prices I am paying today, are much higher than they were last year. Ron, the CPI inflation rate is compiled by the BLS using numbers from typical families, so the numbers would be exactly the same. The government does not make up weights for the different components. They are set based on what percentage of income consumers actually spend on each category. I wonder if inflation has inflation. Think about that one people. They actually changed the method of inflation calculation sometime during the Clinton administration. Check out http://www.shadowstats.com for a more reliable CPI indicator. I never thought I would say this, but I agree with Minimum Wage. When we had salary reviews, the estimate was 2.5% and that is what I got. I almost laughed out loud. I’ve actually considered doing some research and trying to figure out what a “typical” family buys in one year for food, housing, clothing, etc and start comparing it to what our wonderful federal government says the CPI was. What do you want to bet the numbers are far, FAR different? The type of inflation the fed wants to control is the inflation that results from monetary policy, i.e. things get more expensive because there’s too much money being printed (either literally or via the banking system). Gas and Food as razmapaz rightly points out fluctuate wildly and are mostly determined by external non-monetary factors, i.e. increased demand, bad weather, etc. Monetary policy should not be tied to such factors. The bigger problem with the CPI is that it’s absolute reflection of inflation, and not a relative factor. It doesn’t adjust for the change in consumption. Not only do Americans pay more because of inflation, but we also pay for a lot more things than we did 50 years ago. The CPI accounts for the former but not the latter. I’ve never understood why they exclude these things from the index. The reason that the ‘core’ inflation rate excludes food and energy is because the core inflation rate is used to set monetary policy. When doing that, the Fed wants to ignore price swings in seasonal goods like food and energy. I’m not sure what they do about monetary policy in response to permanent increases in food or fuel prices, but I would imagine they’ve given it some thought. The CPI includes these changes and is used to calculate things like Social Security cost of living adjustments, etc. I don’t understand this post. In what sense are the official numbers wrong, given that the CPI includes food and energy? I’ve never understood the why on this. As you go down the income scale towards poverty a more significant portion of income is spent on food and petroleum based products. Why is it that these things are not included in the core inflation rate? Its probably safe to say that the poorest of Americans spend their money on 4 things, shelter, gas, food, and satellite TV. If you want to measure inflation maybe it should be those 4 things. Are you saying the government isn’t being completely honest? That’s absurd! ;).